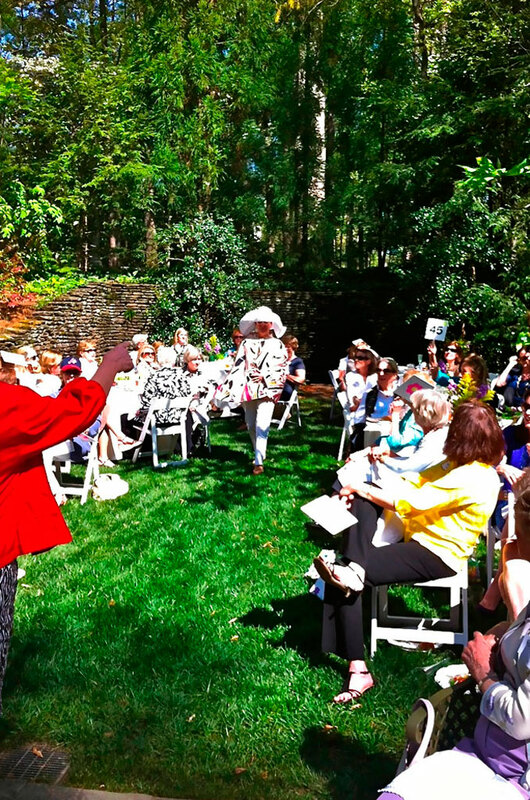 esterday was the First Annual Auction held by one of the oldest garden clubs in Atlanta, the Habersham Garden Club (HGC), and I was in attendance. 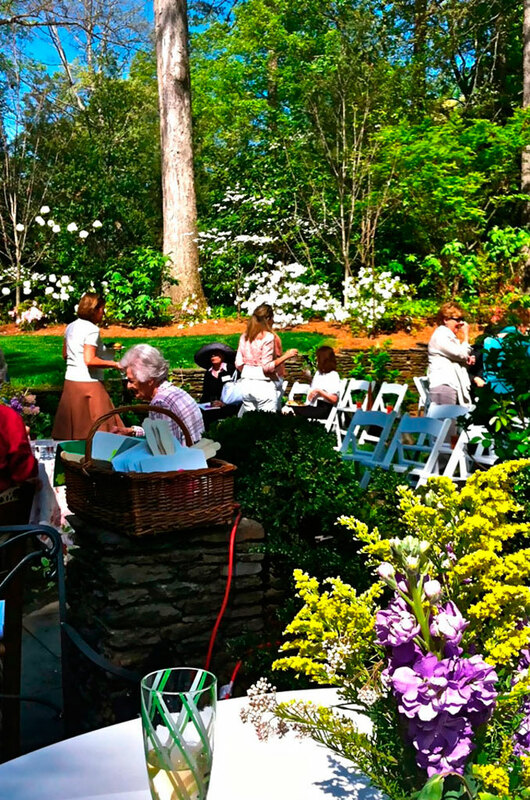 The weather was beautiful, the flowers were blooming and everyone wore smiles in addition to their spring finery. 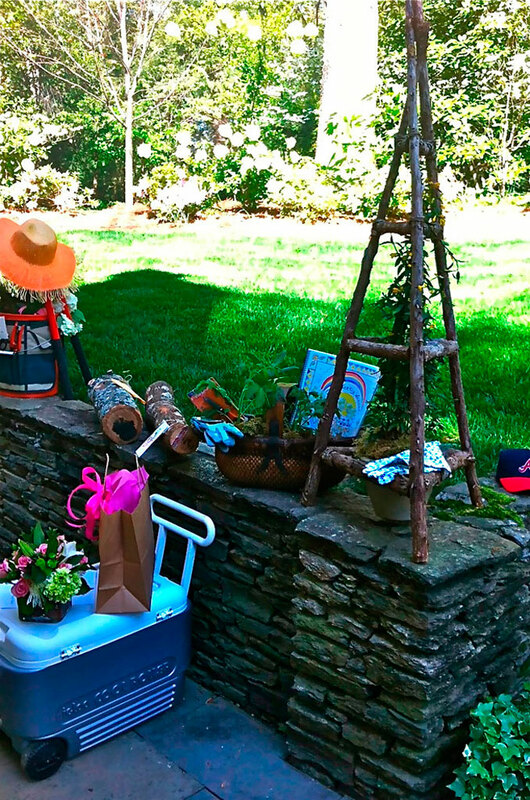 Take a little peek at the event so so you can plan something similar in your community! Vintage Pucci cape modeled by a former president of the HGC–the bidders adored this lovely. 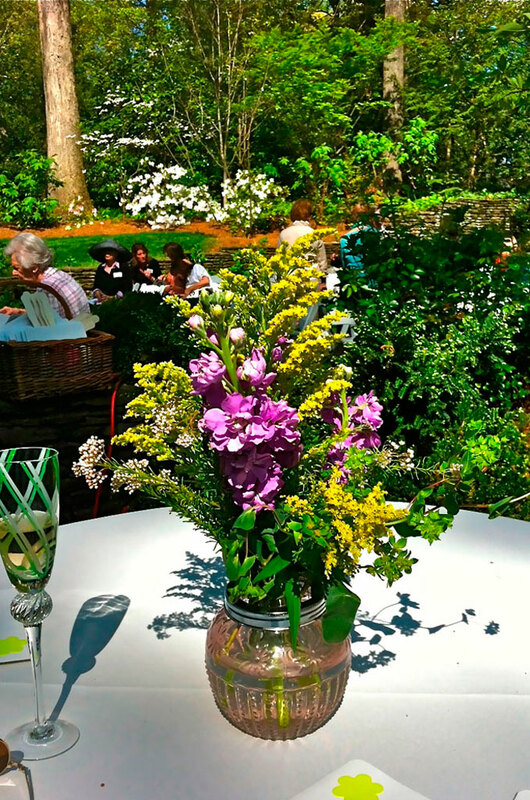 Spring blooms topped every table. 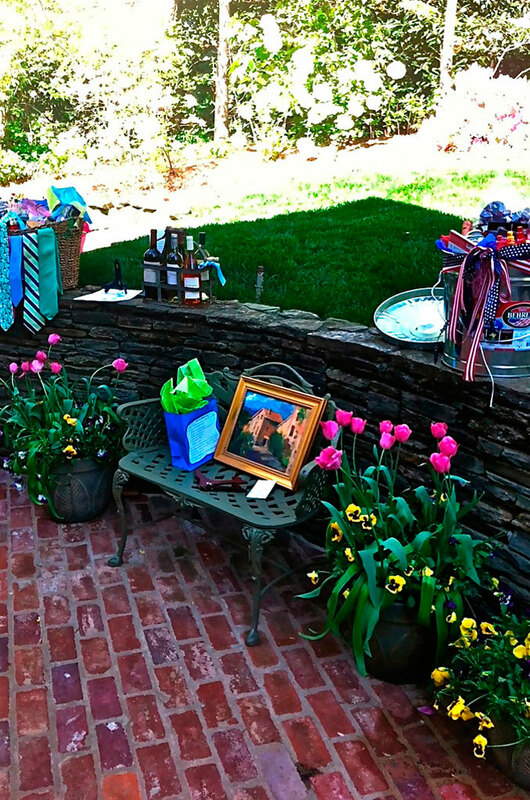 Auction items ranged from vacation homes, golf, Braves tickets, garden structures, wine tastings, floral arrangements and lunch or dinner for four to twelve. I just loved all of these containers of Pink Tulips. And did I make a purchase–of course I did. I bought an Under The Tuscan Sun basket! It included an autographed copy of Frances Mayes’ new cookbook The Tuscan Sun Cookbook and her famous olive oil from Bramasole! When my kitchen is done, the cooking will begin! 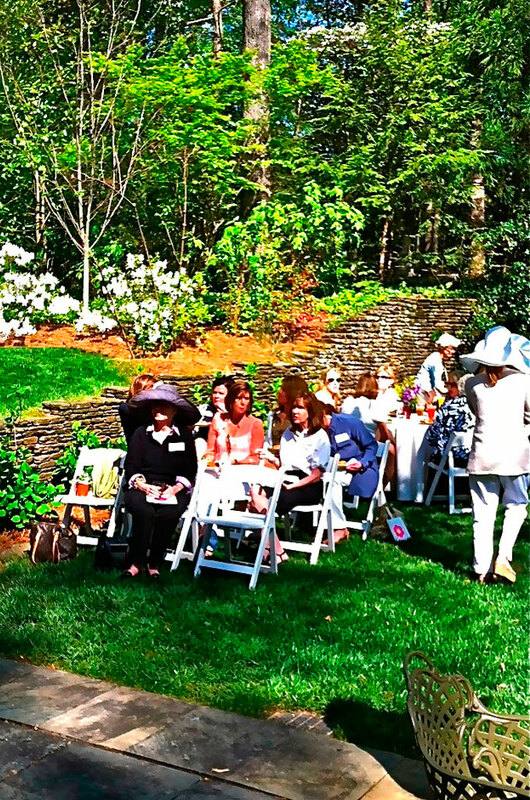 The proceeds from this delightful event will be donated to several civic organizations that the HGC supports and will support gardening education for its members, as well. Bring Every Creative Bone in your Body! I loved it! And having fun with you. A perfect day and event!